Trying to burn your excess fat is a challenging process, but you don’t need to over-complicate it either. To succeed you need to set your goals, keep yourself motivated, and stay the course until you reach your desired weight. This may seem like a very long list of tips, but fear not. Actually, it’s not all that difficult. You probably already know most of these tips but haven’t applied them; we’ve known about them for years. Also many of these tips are just common sense. You want to reduce the number of calories you eat but you want to do this gradually. If you drastically cut your caloric intake, your body will have no choice but to go into starvation mode. When this happens, your body will hold on to the fat stored; you’ll slam into a brick wall, real fast. This is also known as hitting a plateau. Aim for a 500-calorie deficit daily. This equates to a 1 lb. of weight loss per week. This is a place to start. If you need to increase your caloric deficit, you’ll have room to do so. Change up your daily caloric intake. By that I mean trying to consume different amounts of calories on different days. Mix it up a bit. Don’t let your body settle into a routine. For example, eat 1900 calories one day; 1500 calories the next day, 2100 calories on the following day. You want to keep your body guessing so it will always be on alert and continuously burn fat. Eat lean meats, poultry, and fish for protein. Protein provides your body with energy so add high protein foods to your meals. Also, eat eggs as a form of protein; they are an excellent source. Studies have shown that people who consume eggs experience less hunger cravings. At the same time, they are burning fat. Avoid carbs that have a high glycemic index (GI.) You want to eat starchy carbs because they digest slowly. But don’t overdo it; keep the starchy carbs to a minimum. The glycemic index is just a guide; the lower the GI, the slower the absorption rate. You want to keep your blood sugar levels constant so, in general, go with the low. When it comes to your nutrition, consult with your doctor or other health professional to make sure you are doing what is safe for you. You lose fat by eating fat. Sounds ridiculous but it’s true. You need to incorporate healthy fats into your daily diet. When you eat healthy fats, your body will realize that it can get rid of your stored fat since it’s getting the healthy fats it needs on a daily basis. When this happens, your body will burn fat more quickly. Eat a handful of nuts daily; almonds, macadamia nuts, Brazil nuts, etc. They are rich in fat and have many health benefits. They are also an excellent source of protein. But know that not all nuts are created equal so make sure you know which ones to stay away from. Drink at least 2 quarts (8 8oz. Glasses) of water daily. 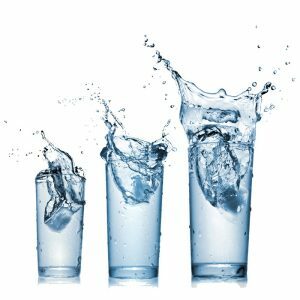 Your body needs water and oxygen to metabolize the fat. If you are not properly hydrated you will hinder your fat-burning progress. The decision whether or not to drink cold water is up to you. Yes, it will boost your metabolic rate but don’t count on the temperature of your water to burn more fat. Rather count on the amount you drink to aid in the process of losing fat. 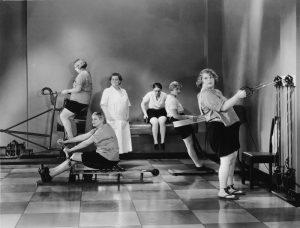 Many people believe that cardio is the only way to lose weight. This is not true. Cardio and resistance training go hand in hand. By combining the two, you will shed the fat fast and furious. Weight training increases muscle mass. The more muscle you have, the more calories you will burn. While maintaining a calorie deficit is essential to burning fat, you don’t want your body to burn muscle instead of its fat stores. By working out with weights, your body will realize that it needs the muscle so it starts burning fat the way it should. Adopt an exercise program that combines both cardio and weight training. This will ensure that you will burn the most fat in the shortest possible time. If you’re up to it, consider making HIIT training part of your regimen. HIIT stands for high-intensity interval training. HIIT training will leave you gasping and panting and will create an oxygen deficit. That means you will be on fat burning mode for 8 to 12 hours after your workout. HIIT training is not for everyone so don’t jump into it without checking with your doctor first. This is a very common mistake that people make. They weigh themselves daily and some people even weight themselves a couple of times a day. Your weight fluctuates on a daily basis for a variety of reasons; from water retention to what you have eaten. If you weigh yourself daily and do not see any change on the scale, you’ll just lose your motivation. You may even become depressed at the seemingly lack of progress. This is a big mistake. Only weigh yourself once a week; same day, same time, every week. A morning weigh-in is best. Before you embark on your mission to burn fat, measure your body composition. Your weight on the scale may not change but that does not mean you have not lost fat. Your fat loss may be offset with lean muscle gain. The only way to be sure will be to do a body composition test. Now let’s talk about more things you can do to speed up your body’s fat burning process. Here are more tips to consider as you apply your burn fat plan of attack. #1. Drink about 3 to 4 cups of tea without sugar daily. It can be green tea, black tea, or oolong tea. #2. Consider taking a good fish oil supplement. They are rich in omega-3 essential fatty acids which aid with fat loss. #3. You’ve heard the saying, “An apple a day keeps the doctor away.” Well, that’s pretty close, so you should eat an apple a day. Apples are rich in antioxidants and have many health benefits. Apple polyphenols increase muscular strength, boost endurance, prevent inflammation, and promote fat loss. This is definitely a must have in your diet. #4. Skip the artificial sweeteners. There is a lot of debate about whether they are safe or not. What really matters is that artificial sweeteners tend to affect the brain’s ability to regulate calorie intake. That means you feel hungry more often, experience cravings, and end up consuming more calories. #5. Do your cardio first thing in the morning on an empty stomach. Your body will burn its fat stores directly. #6. Lift heavier weights every now and then. Excess post-exercise oxygen consumption leads to an elevated metabolic rate that lasts for hours. That means you keep burning calories long after you have finished working out. #7. Motivate yourself daily with photos or quotes or even body transformation videos. It’s easy to lose your motivation along the way and that will just hinder your progress. These are some tips to help you burn fat quickly and safely. Of course, there are many more but if you just follow these, you will be way ahead of the pack. You will see the excess fat just melt away and the new you emerge.